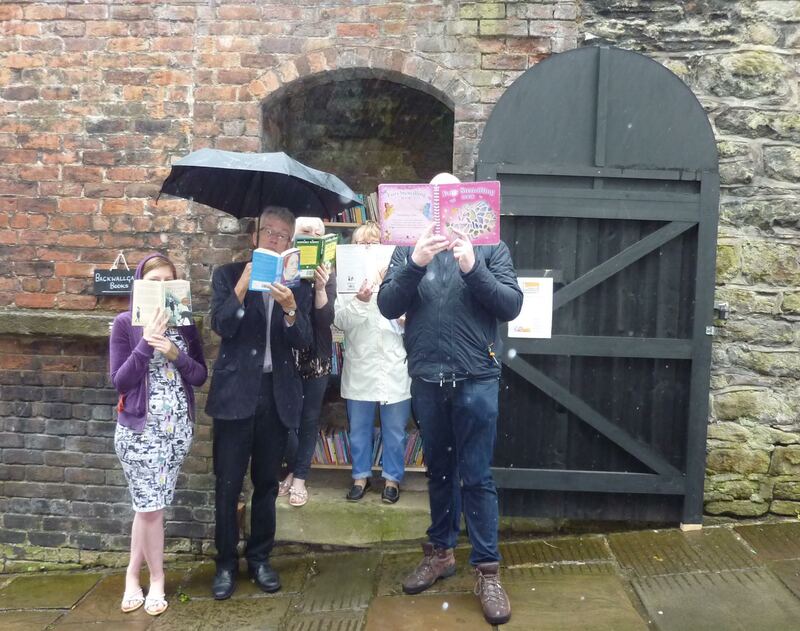 Back Wallgate Books, one of Barnaby 2016’s best-loved events, is to continue on Fridays, Saturdays and Sundays until 2nd October 2016, courtesy of the festival’s new ‘Secret Librarians’. The team of local residents will open and close the new library and keep it stocked up with a mix of interesting, popular and thought-provoking reads on a variety of topics, fact and fiction, with something for all ages. “It’s such a fun project and we’ve already had lots of people getting involved. People have really have taken ownership of it and they feel that it is their library,” said a Secret Librarian who lives close by. Hundreds of people have already enjoyed the free, shared library, tucked into alcoves on Back Wallgate (opposite Tempranillo/JC Vape). Visitors are invited to bring, browse or borrow books, or take advantage of the specially-created ‘reading nook’, which seats up to three people. Festival Director Karl Wallace was inspired by the ‘Library in the Landscape’ at Tegg’s Nose Country Park, created by Ailsa Holland (Artist in Residence, Barnaby Festival 2016) in collaboration with Cheshire East Ranger Martin James. Macclesfield Barnaby Festival, contemporary arts and culture, made with the community and powered by volunteers.